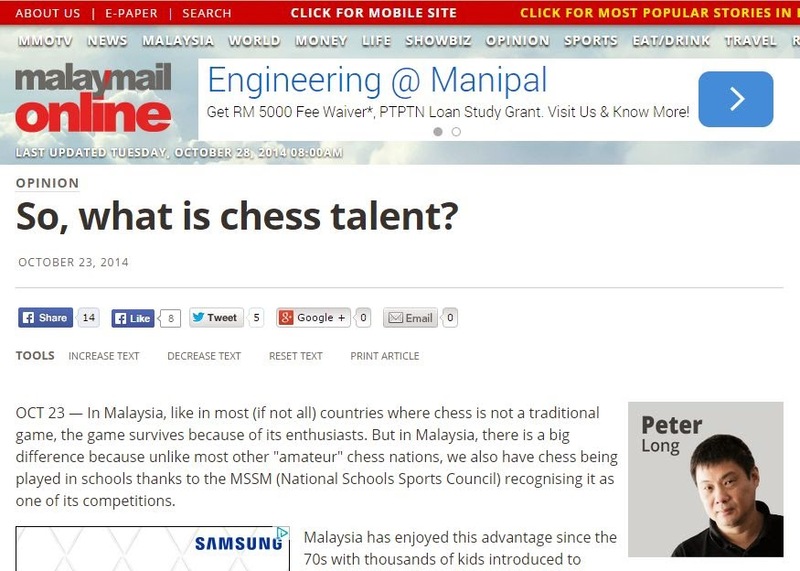 Peter Long on Chess: Malay Mail Online: So, What Is Chess Talent? Malay Mail Online: So, What Is Chess Talent? The Third Time Was As Unlucky!